A large part of earning the trust of your customers is demonstrating that you care about getting them the right car. But with lots of things to keep track of, it’s impossible to remember every vehicle request yourself. That is, unless your dealer management system does it for you. DeskManager lets you make a list of vehicles your prospects express interest in, and will automatically remind you when a close match gets imported into DeskManager for the first time. If you’d rather not wait for the right vehicle, you can print out this customer request list and take it with you to your next wholesale auction. 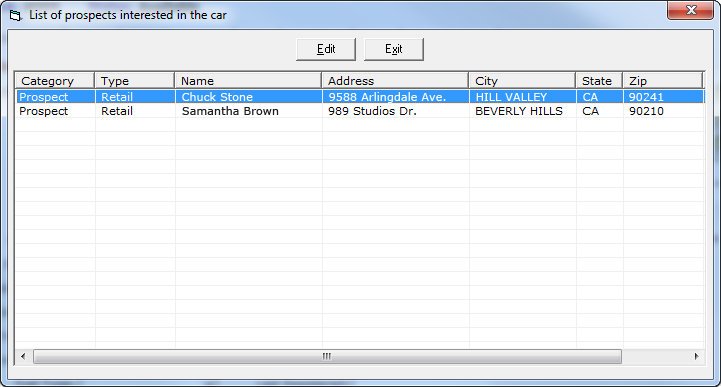 This feature is called “Inquiries,” and you can find it at the bottom right of any Prospect window. So let’s try it out. Create a new prospect, go to the Inquiries section and hit “Add.” In the next window, fill out the fields to match a blue Ford F-150 with 50,000 miles maximum. Click on the prospect you want to check out, and you’re whisked away to the Contacts screen, where you can see how to reach out to him or her.